Okay, y’all, are you ready for this one? 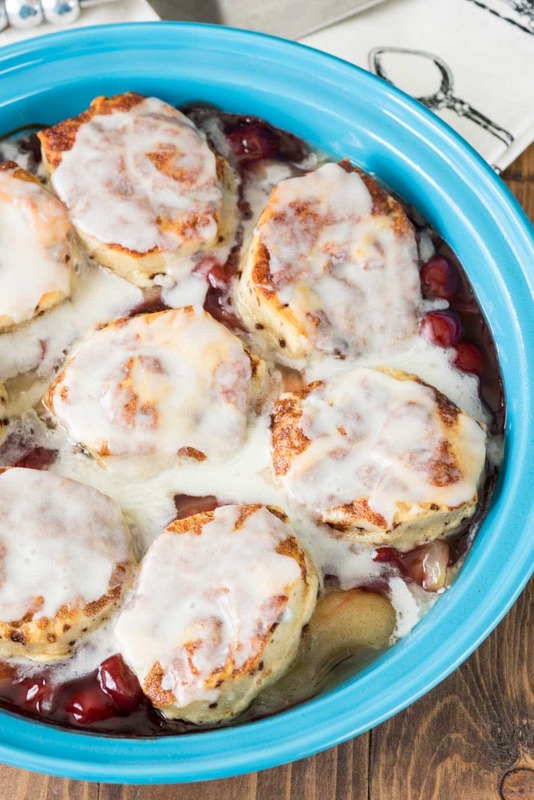 Three words, only two ingredients: Cinnamon Roll Cobbler. Will you eat this for breakfast or for dessert? Or BOTH? Have you ever watched Dance Moms? Jordan loves that show and it freaks the heck out of me because Jordan loves to dance and she’s almost to the competition point. You guys, I am not, nor will I ever be, a dance mom. Watch every practice faithfully? Nope, I’ll drop you honey, don’t trip on the car door as I drive away. Sitting backstage at competitions and recitals helping the girls change, doing make-up, and corralling them? Um, I’ll give that one a NOPE. I’d rather do…almost anything else. Watch Jordan from the audience and cheer as loud as I can? Now THAT I can handle. All this comes up because today I get to spend 4 hours in the parking lot of our dance studio waiting in line for “VIP Registration” so I can save 25% on classes and actually get Jordan into the ones she wants before they fill up. Admit it, you’re jealous of my Sunday, right? At least I had cinnamon roll cobbler for breakfast and I’ll eat it again for dessert. This recipe blew my mind, seriously. I have one of those Pillsbury recipe-a-month calendars hanging on my wall and Cinnamon Roll Cobbler is April’s recipe. When I flipped the month my mouth dropped; how have I never thought of this before? Their recipe involved boiling canned fruit along with pie filling and I thought that was too difficult. I mean, if I’m making Sunday brunch that means I’m already grumpy, so no prep is wanted. This recipe is easy, foolproof, and has only 2 ingredients. I know, right? It’s actually easy enough that the kids can make it for you on Mother’s Day. Open the cans, dump, bake. No mixing, no bowls, nada. 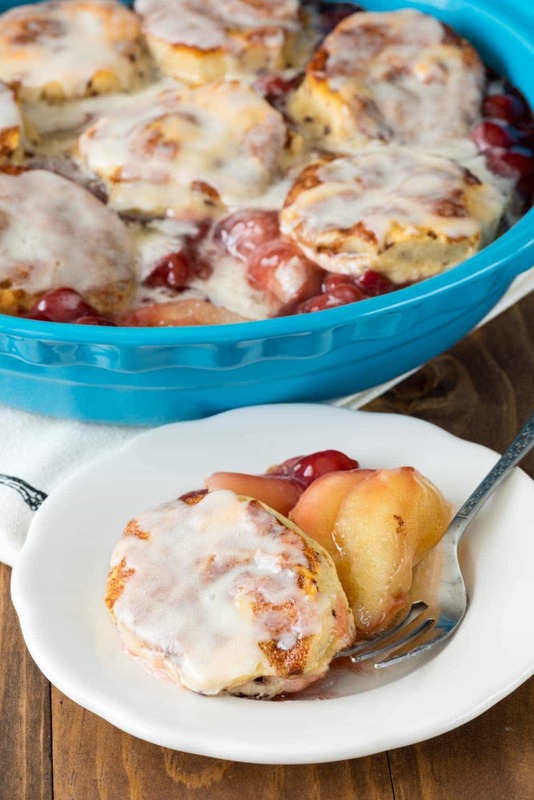 Just good cobbler…topped with cinnamon rolls (and icing, of course). 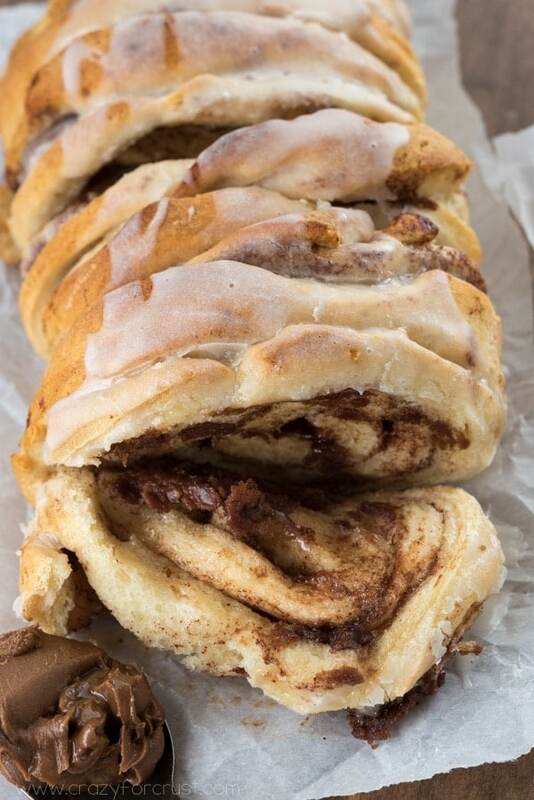 The only things you need for this recipe are 2 cans of pie filling and an 8-count roll of cinnamon rolls. You can use ANY flavor pie fillings you like. I used apple and cherry because I had them in my pantry, but you could mix and match cherry, apple, blueberry, peach…whatever you like. I used a large 10″ pie plate but you can also use a 9×9 or 11×7 pan. 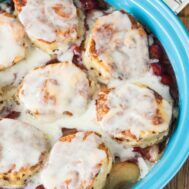 Cinnamon Roll Cobbler - an easy brunch recipe that's also dessert! 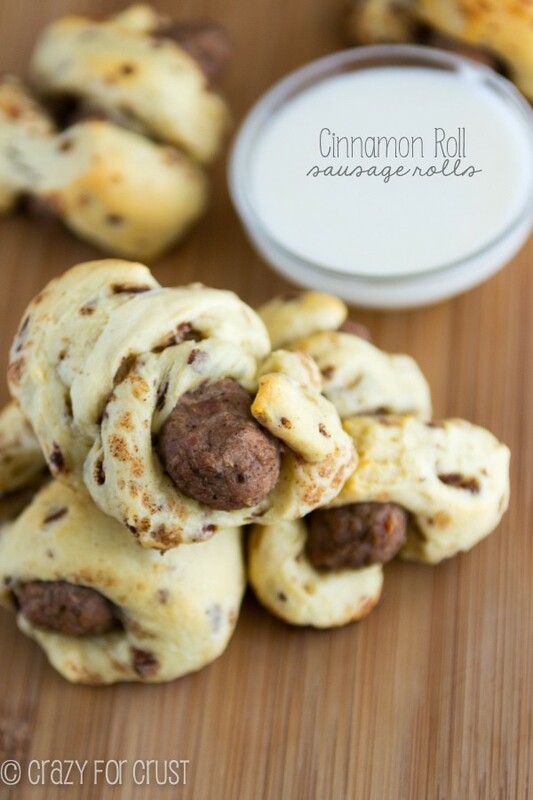 Only 2 ingredients and so easy the kids can make it! Dump and bake, that's it! Preheat oven to 375°F. Lightly spray a 10" pie plate, 9x9" pan, or 11x7" pan with nonstick cooking spray. Dump both pie fillings in the bottom of the pan. Unroll the cinnamon rolls and place over the top, reserving the icing for after baking. 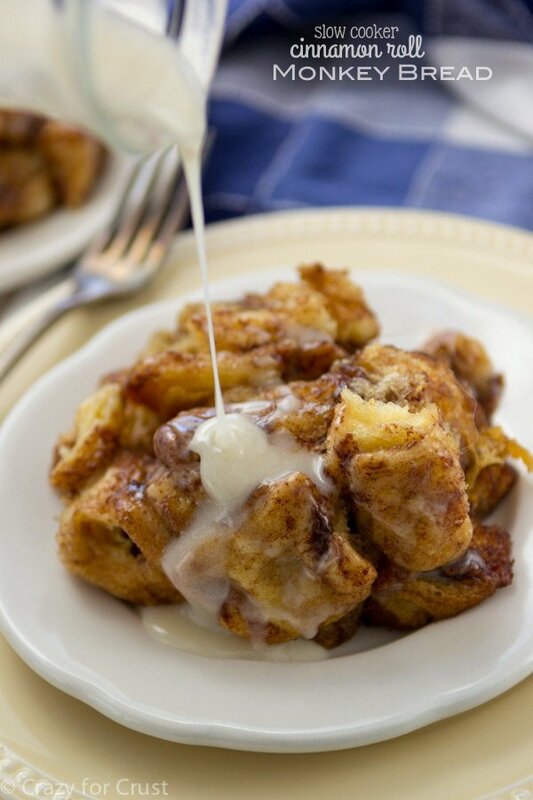 Bake for 14-18 minutes, until cinnamon rolls are cooked through and filling is bubbly. Frost with icing and serve warm for brunch, breakfast, or dessert.